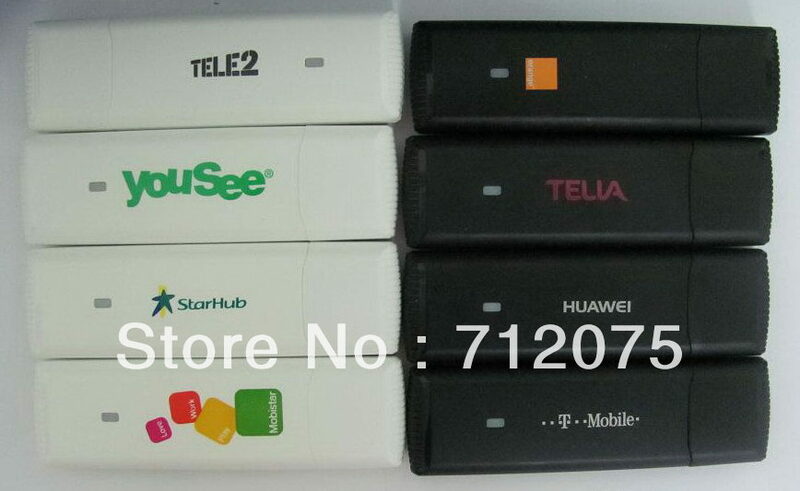 Huawei E1750 3G wireless modem,WCDMA 3G Wireless Network Card, USB Modem, can use as the Adapter for PC Tablet,support Android system, support SIM Card . Windows 2000, XP, Vista, 7, Mac OS. Pls kindly take not: there're so many operators for Huawei products,so there're many different logos for the same Huawei type. we'll arrange the shippment stochasticly via athe stock status. We recommend to useAliexpress Escrowfor your security consideration. You can choose each of the paymethods pay to Escrow: moneybooker, Credit card, West Union, Visa or others. We will select DHL, FedEx, UPS, EMS, as the first delivery methods, which can ensure the speed and reliability. But for the items with small value, will use China Post Air Mail/Parcel as the case maybe. Items will be shipped within 2-3 working days when the payment received(per different item). Please make sure that the address & phone No. you provided are correct and deliverable. 3-4 weeks to South America, Mid-East, East Europe and Africa. Please kindly note:Customs duty and import tax are not included in the pricing of item and shipping cost. And if you are not satisfied it, pls email us before leaving any negative feedback, We understand your feeling at the time, but pls give us opportunity to resolve them. Do not hesitate to contact us freely if there is any problem, we will handle it within 24 hours. 1. We will refund for products returned within 7 days of you receiving them, A full refund will be given if products are returned in their original conditions (no artificial damage, accessories is full, and with original packaging). Buyer bear the returned shipping fee. 2. We provide 30 days replacement (products without artificial damage). replacement of the problem portion is recommended. 3. We will provide free maintenance for the items which you receive them within 1 year, and buyer require to pay for the two way shipping freight. All the accessories and gifts do not enjoy the warranty.